New York Attorney General Eric Schneiderman and San Francisco Attorney General George Gascon have made headlines over the past several months calling out Apple and other smartphone industry players for not doing enough to deter the theft of mobile devices. Now, though, the two have said they're encouraged by the new Activation Lock Apple will add to iPhones and iPads with the new iOS 7. "We are appreciative of the gesture made by Apple to address smartphone theft," the two prosecutors told the Associated Press in a joint written statement. 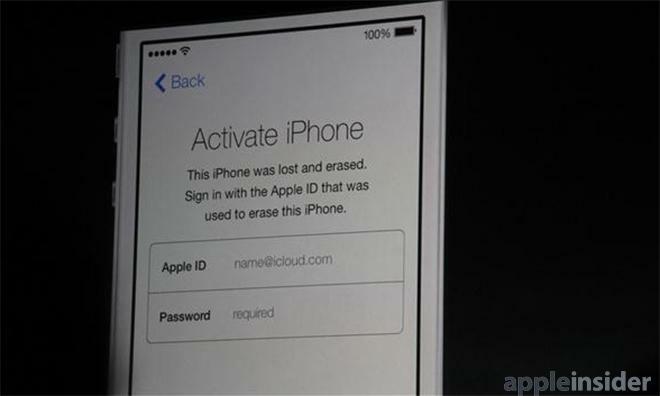 "We reserve judgment on the activation lock feature until we can understand its actual functionality." Nearly one out of every three robberies nationwide involves a mobile phone, according to the Federal Communications Commission. Smartphone manufacturers, the two prosecutors say, could virtually eliminate the market for stolen phones by building in the ability to render the devices useless when stolen. Apple appears to have developed just such a technology, if the company's WWDC claims are to be believed. The new Activation Lock feature, according to Apple, will keep a phone from being activated even if a thief wipes the device's memory entirely. Additionally, iPhones and iPads have a Find My iPhone feature that will display the device's approximate location on a map. Gascón and Schneiderman have invited Apple and other smartphone makers to attend a Smartphone Summit this week in New York, where attendees will discuss ways to prevent smartphone theft. Representatives from Apple, Google, Microsoft, and Samsung have agreed to attend the meeting, which will take place on Friday. Gascón says the ball is entirely in the smartphone makers' court when it comes to stopping mobile device theft. "With 1.6 million Americans falling victim to smartphone theft in 2012, this has become a national epidemic," said Gascon. "Unlike other types of crimes, smartphone theft can be eradicated with a simple technological solution.